Hip Hop music, at least from a creative standpoint, is most successful and effective when the artist is not afraid to get personal. It makes what people are hearing more easily relatable and gives the sense that the artist after all is a regular person and someone proclaiming statements from their ivory tower. This Was Tomorrow is the perfect example of blue collar Hip Hop, without pushing the fact or turning it into a gimmick. 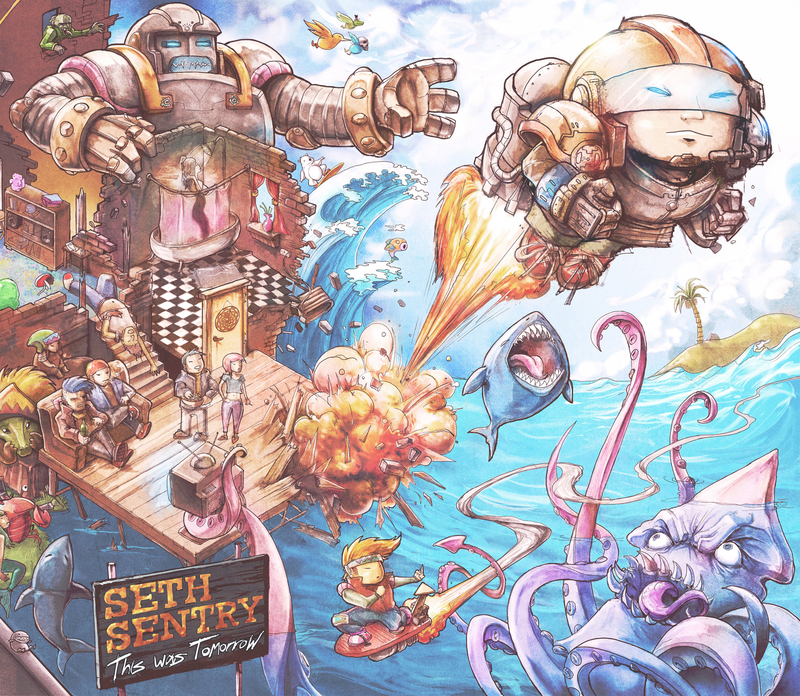 Melbourne rising star Seth Sentry uses the album to look at society and his place in it through his unique and comedicly warped lense. Sentry paints himself as someone full of all the same emotions, concerns and issues are everybody else. 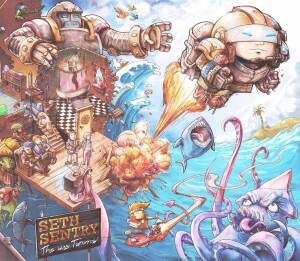 While we wait on such prophesised items as jetpacks and flying cars, as shown on the apocalyptic album art, we have to deal the current reality, which Sentry is not afraid to delve into. The relatable rapper takes us through a typical day, introducing the listener to many of the album’s running themes on opening cut Campfire. On album stand-out My Scene he tells outlandish yet believable tales about trying to fit into social groups. Almost serving as his reimagined version of What’s My Scene?, the hit single from Aussie rockers the Hoodoo Gurus, the track contains stories about unwittingly going out for drinks with business types and smoking weed with random hippies but still feeling dissatisfied. The theme of unfulfilled future prophecies from the cover art continues in a tongue-in-cheek manner on Dear Science. While he expresses his gratitude for the iPod and other technological wonders, he asks scientists about the whereabouts of our damn jetpacks. For this and many other moments This Was Tomorrow is a triumph and easily one of Australia’s finest hip hop releases of 2012.